“Last month, medical industry journal Australian Doctor surveyed 323 doctors, 40 per cent of whom now work for the four main corporate health services, to gauge their attitudes to the corporates. Responding to the survey, one ex-corporate doctor wrote: “The no-appointment system of some practices … is not beneficial for patient care, especially when patients are not necessarily followed up by the same doctor. “Bulk billing only encourages shorter, less comprehensive consultations, which encourages patients to go to these practices for their easy, quick problems – sick notes, repeat prescriptions. You have already invested time, effort, and money into your private practice. 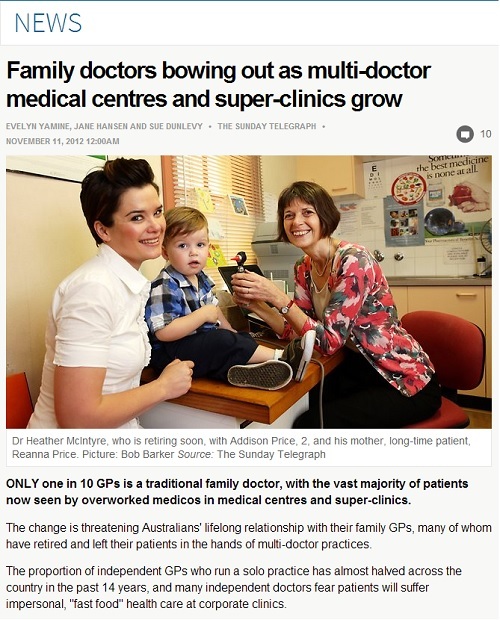 As much as possible, you should try to keep it sustainable for the benefit of your patients, especially since most Australians rely on their family doctors for up to four generations. If you are having trouble with your medical accounting obligations, consider hiring a medical financial services provider such as MEDIQ so you focus on treating your patients. By turning to experienced financial advisers who specialise in the medical field, you can explore options that will work for you as a medical practitioner. You can manage your financial well-being as a doctor and as a sole proprietor of your practice successfully with the help of seasoned professionals. As a result, you can manage your private wealth better, specifically your loans, investments, and insurance strategies. Since maintaining your practice is similar to running a business, your service provider will be able to help you conduct effective financial planning for doctors in terms of compliance, taxation, and other accounting strategies. In turn, you can enjoy financial stability while attending to the needs of your patients. This will help your practice become resilient amidst constant change within the government and the medical industry.